Cryptocurrency is stored in a digital wallet. This wallet generates a unique key (private key). When you lose this key, you can no longer access your cryptocurrency and there is no party that can help you to restore it. One of the safest ways of storage is the hardware wallet. These are physical wallets that can be connected to a PC or laptop via a USB input. They isolate the private key and are resistant to malware and viruses. This is because they are not connected to the internet and do not have a CPU. To restore a hardware wallet you need 12 to 24 backup words. Most of the time, these words are written down on a piece of paper or stored online. This is, in general, a very bad idea, as these words can easily be stolen, hacked or get lost. The CRYPTOTAG creates a virtually indestructible back-up, as the 12 to 24 words are stored on titanium. How does the CRYPTOTAG work? 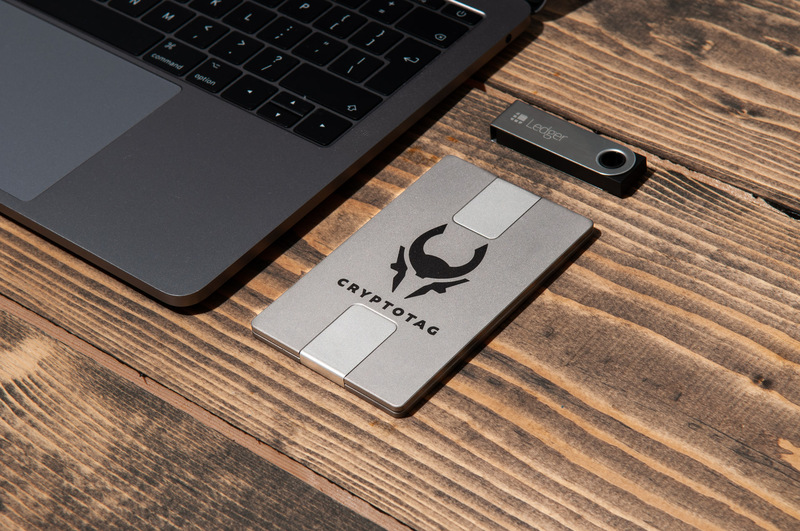 CRYPTOTAG is a virtually indestructible backup system that makes it possible to store the backup words offline in titanium, which is the metal of the gods.2 The backup words must be stamped in titanium using the components that are included in the package. In the past sixteen months, experiments have been done with different engraving methods and different metals. In our opinion, we have found the best way.4 We call it: Hammertime! Our patented method makes it very easy to store your backup information in titanium. We have been influenced by goldsmiths, metalworkers, the aviation industry and ancient engraving techniques. 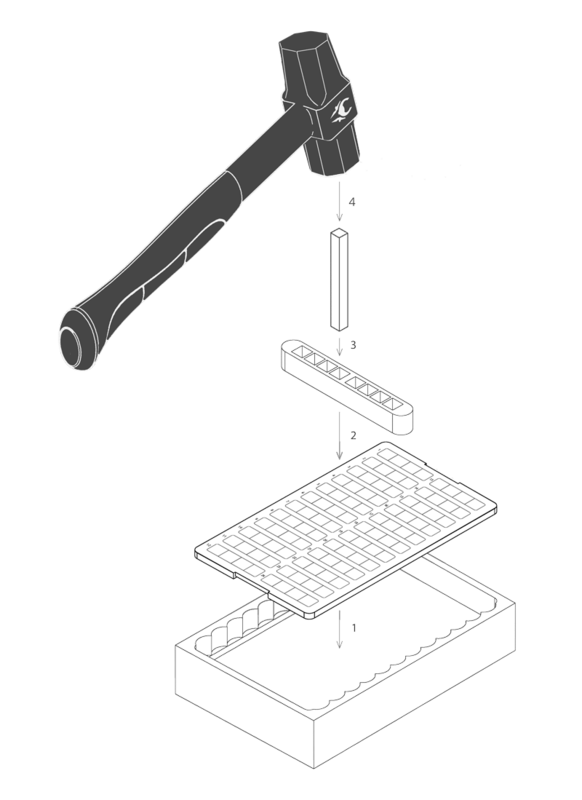 These influences are visible in the included components like the hammer, punching letters, the anvil and the use of titanium. The components are perfectly matched, so that the system is easy to use. www.cryptotag.io and www.cryptotag.io/tutorial for an impression. 2. The CRYPTOTAG is compatible with nearly all wallets such as Ledger Nano S, Trezor, KeepKey, Cool Wallet S, Exodus, etc.